Empower Assistance Dog Max - A special gift for a special little girl. Malaya has received her new best friend Max! 8 year old Malaya Harris suffers from Autism and anxiety and after an Autism website recommended an Assistance Dog for Malaya, Variety the Children’s Charity and Empower Assistance Dogs stepped in to help out. 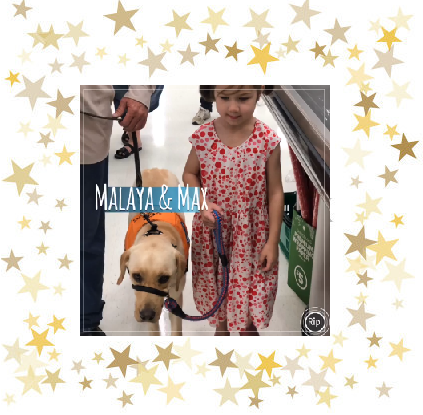 Aussie Pooch Mobile Dog Wash is continuously raising money to help children just like Malaya receive an Empower Assistance Dog. Malaya thought that she was just practicing with Max until she could receive her own Assistance Dog. Furthermore she had no idea that Max was going to be her early Christmas present. Hence the over whelming emotions that followed when she received Max. It was something special, that’s for sure and there was not a dry eye in the room. Max the Empower Assistance Dog was dumped at the pound for his once naughty behavior. Craig Murray, one of the trainers at Empower Assistance Dogs says, “All Max needed was a bit of guidance and to be shown who was boss. Furthermore he does have a very big heart and personality which actually makes him the perfect match for Malaya”. Max has been trained to turn lights on and off, open and close doors, pick up and or retrieve dropped or wanted items. He can also indicate when Malaya needs assistance by alerting her parents. Max will also help a great deal with Malaya’s confidence. Malaya’s parents say that she often gets overwhelmed in different situations but their daughter has already shown huge improvements when she is with Max. “Her confidence has grown tenfold”, Malay’s mum said. It looks like Max and Malaya have become the best of friends already. A little more on Assistance Dogs and the Aussie Pooch Mobile contribution…. A little more on donating…. Thank you for those of you who have donated to this worthy cause. Malaya and her family are very appreciative and Max wouldn’t be with Malaya today if it weren’t for your generosity. 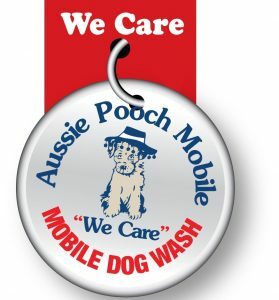 Your generosity means the Empower Team, Variety and socially responsible, caring businesses like Aussie Pooch Mobile dog wash and grooming can raise, train and locate more assistance dogs to empower these special children.